(SitNews) Washington, D.C. - Pastor Evelyn Erbele, co-pastor of Ketchikan’s First United Methodist Church, who operates the First City Homeless Services Day Shelter, has been honored this week as part of U.S. Senator Dan Sullivan’s series, “Alaskan of the Week”. Senator Sullivan has spoken on the Senate floor weekly for several months recognizing Alaskans around the state who help make Alaska a better place for all of us. By speaking on the Senate floor, his statements become part of the Congressional Record. This week, Senator Sullivan honored Pastor Evelyn Erbele, who has dedicated her life to helping others. Sullivan said, like most places across our country, Ketchikan has its challenges, and it has a challenge with homelessness, like many communities in America and Alaska. Ketchikan is also home to a very caring community that has set its sights on helping its fellow Alaskans. 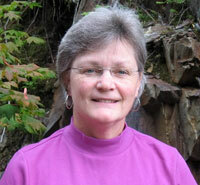 Erbele is the copastor with her husband Terry of the First United Methodist Church of Ketchikan. There is a day shelter in the church's social hall, which provides a hot meal, shower, clean clothes, and a place for the community's homeless to go every day of the week. In recognizing Pastor Erbele as the Alaskan of the Week, Sullivan said, "Oftentimes when we think of homelessness, we think of people not having a place to sleep, but it is also important to remember that being homeless means having no place to go during the day. First City Homeless Services - Day Shelter gives people a place to go during the day. Pastor Evelyn oversees that day shelter. According to the manager of the shelter, Chris Alvarado, who himself has been homeless, she does so with commitment and with kindness and with compassion." “She has a heart of gold and gives 100 percent,” said one resident of Ketchikan about Erbele. Erbele met her husband Terry in Seward, AK, where she was a nurse in 1976. From Seward, they set out on a journey to help people around the world from Nigeria, Lithuania, Russia and on to Ketchikan. In 2009, Erbele, now with a Ph.D. in theology and ordained by the Methodist Church - traveled up the Alaskan Highway from Bellingham to Ketchikan with her husband. She didn't know when she accepted the job at the Methodist Church in Ketchikan as copastor that she would be overseeing the day shelter. In her years working to help the homeless in Ketchikan, she realized that not everybody who is homeless fits neatly into “one basket.” There are lots of reasons for homelessness, she said, and the homeless may have many, many faces: men, women, children, families, the old, and the young. Sullivan said, "Homelessness is a big challenge across our Nation. On any given day, tens of thousands of Americans - -hundreds of thousands - don't have a permanent place to call home. Of course, the best way to address this is to have a strong economy and job opportunities, and that is what we need to be focusing on here in the Senate. But we also need people like Pastor Evelyn not only in Alaska but across the country, who are tireless advocates for helping the homeless. I thank all of them. I especially thank her, and I thank her for being our Alaskan of the Week."